You perform each exercise for 20 seconds and then have a 10-second break. You repeat each exercise for eight rounds, or four minutes. 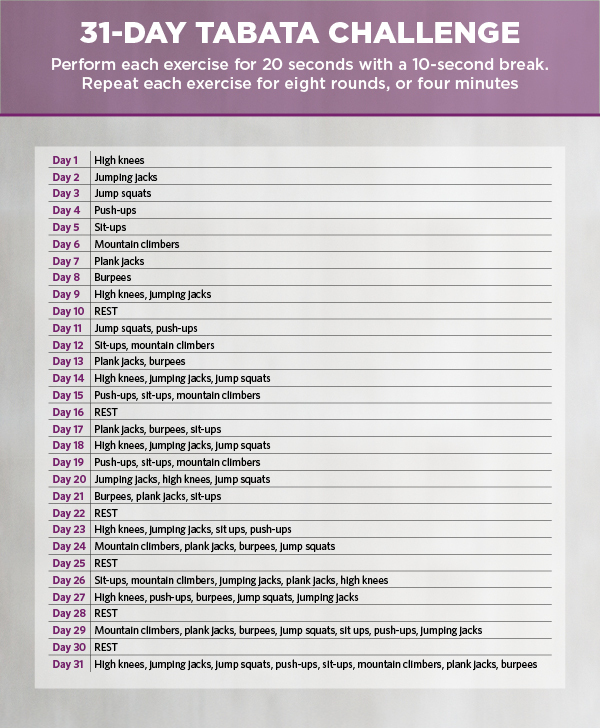 As the month goes on we will add more exercises, working up to a total body 32-minute workout! In the first week of the challenge, we will preview each of the exercises to help ease you into this style of training. Once you hit week two, we’ll start adding exercises and doubling the time. Remember to take a 30-second to one-minute break between each exercise. If you need more time, take it and move on to the next exercise when you’re ready. 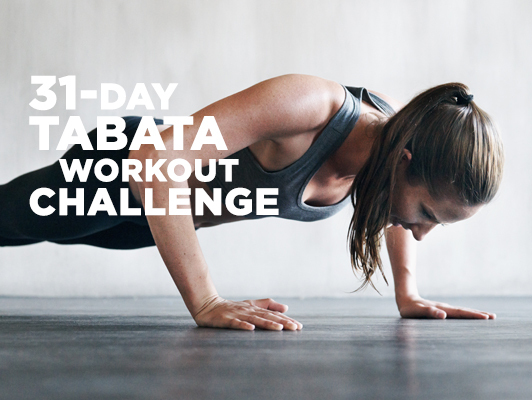 Tabata training is a more advanced style of training, but don’t let that discourage you. Feel free to modify these exercises to a more comfortable level for you. If you’re used to training at a higher level of intensity, feel free to really challenge yourself with this workout! I also recommend downloading a “Tabata timer,” which can be found in most app stores on your smartphone or online. Any of these exercises can be modified. Throughout the month, you can work up to the more advanced version as you get stronger. I recommend starting at a lower intensity and making sure you can properly do the exercise. Then add intensity from there. Always remember that proper form is the most important part of any exercise. Good luck and remember to tag your friends to join in! Physical Activity and Exercise: What's the Difference?